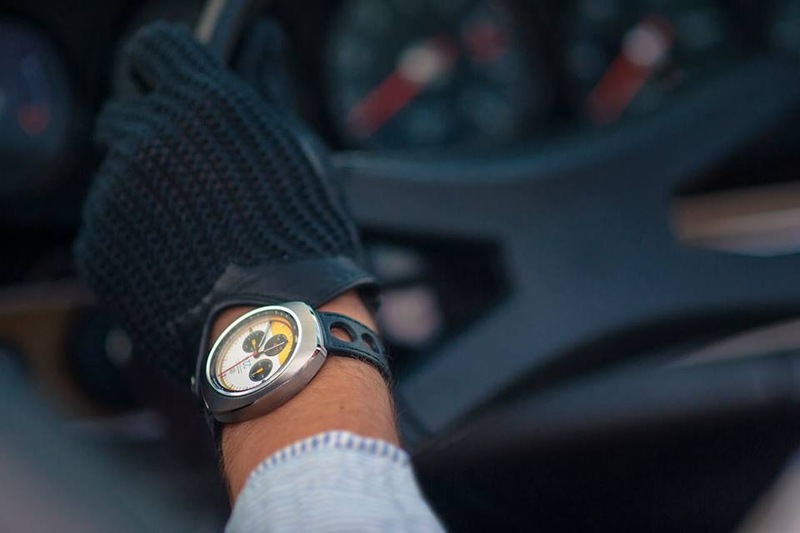 I love this great interpretation of a 1970’s car watch. Categories: Autodromo, Watch Blog, Watch Brands, Watch Spotting | Tags: Autodromo, prototipo | Permalink. 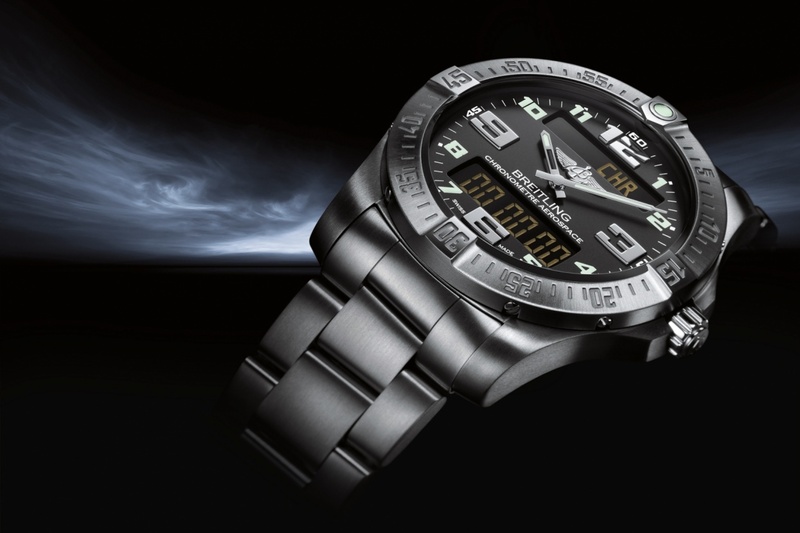 Categories: Breitling, Watch Blog, Watch Brands, We Wants Muchly | Tags: aerospace. aerospace evo, Breitling, chronometre, evo | Permalink. 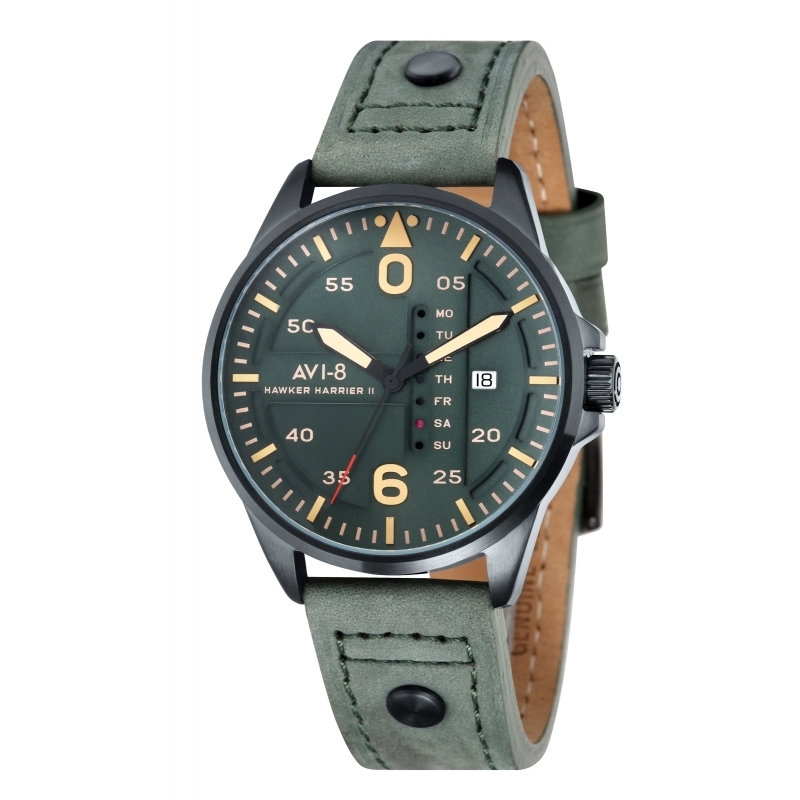 Categories: AVI-8, Watch Spotting | Tags: AVI-8 | Permalink. Gucci’s XL Quartz Chronograph is the latest addition to the Gucci Coupe collection and it now rolls up in a larger 44mm rounded square case. 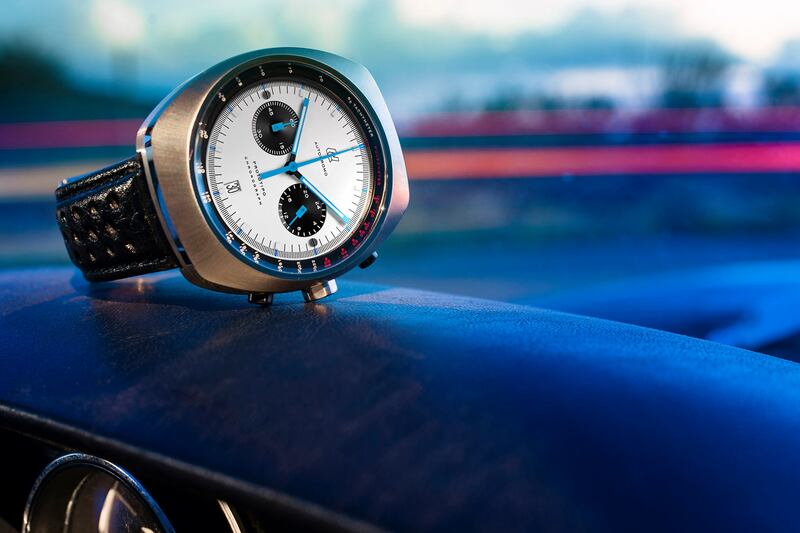 The watch is inspired by coupe sports cars, so with our JCW MINI Coupe and Opel GT this line of chronographs is right up our street. Gucci’s modern interpretation of vintage style is very definitely a hit with us. The stainless steel case on the XL Quartz Chronograph is available stainless steel or in black or gray PVD coating. All case variants house a Swiss quartz movement. The timepiece’s increase in size promotes the legibility of the SuperLuminova indices and all its functions. The dial also displays, three subdials and the date at four o’clock. Each of the XL Quartz Chronograph variants reflect their motifs on the strap and Gucci has created a coordinated look that subtly let’s you know instantly that this watch is Gucci. 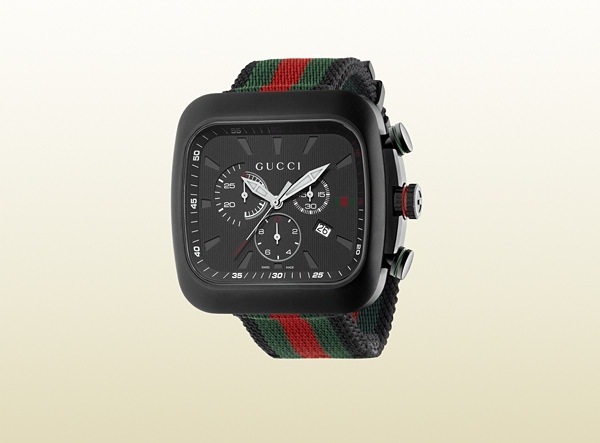 The stainless steel version boasts a three-link bracelet and the black PVD version utilizes a nylon strap with Gucci’s green-red-green web stripe. The gray PVD version features a blue-gray-blue web-striped nylon strap. Green stripes outline the chronograph pushers and a red stripe decorates the crown. A sapphire crystal glass completes the detailing. 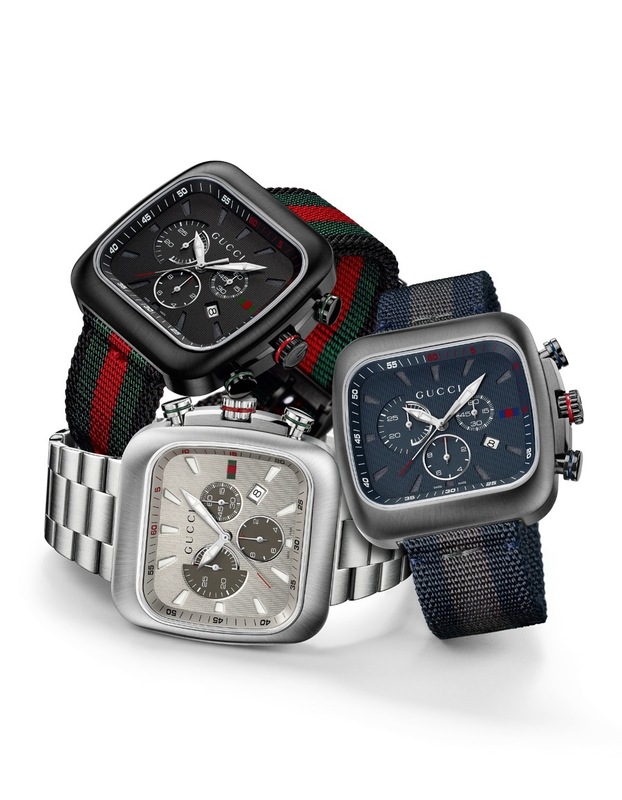 Categories: Gucci, Watch Blog, Watch Brands | Tags: chronograph, Gucci | Permalink. 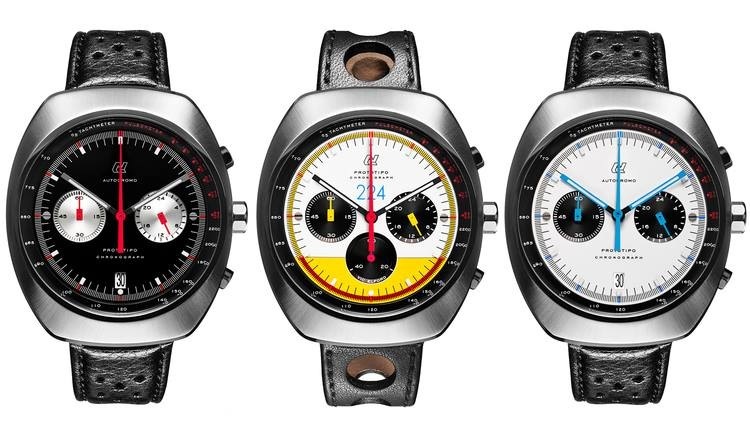 Autodromo has brought us a new watch the Prototipo in black faced and white faced versions, as well as a limited edition Vic Elford variety, which is restricted to just 224 numbered pieces. At Beastie Folly we are very smitten with this latest Autodromo offering , which apes the 70s watch models that are so in vogue just now. Categories: Autodromo, Watch Blog, Watch Brands, We Wants Muchly | Tags: Autodromo, chronograph, prototipo | Permalink.